Imogen's Typewriter. 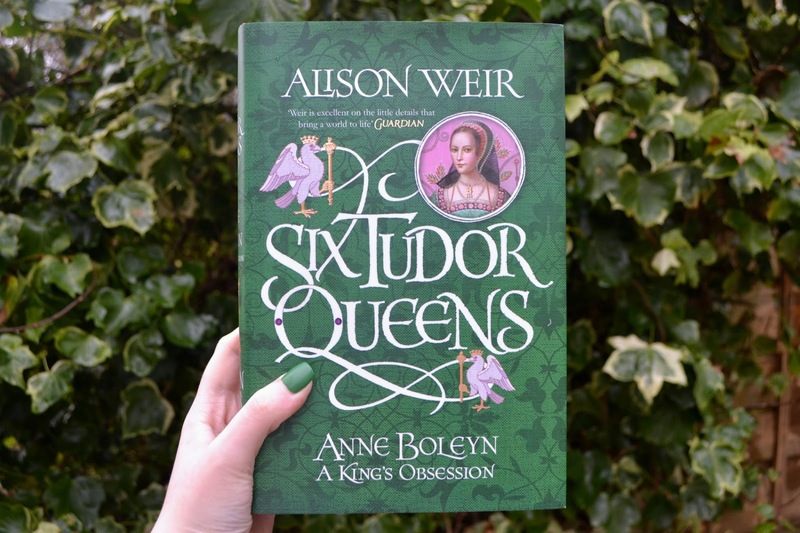 : Book Review: Anne Boleyn: A King's Obsession by Alison Weir! 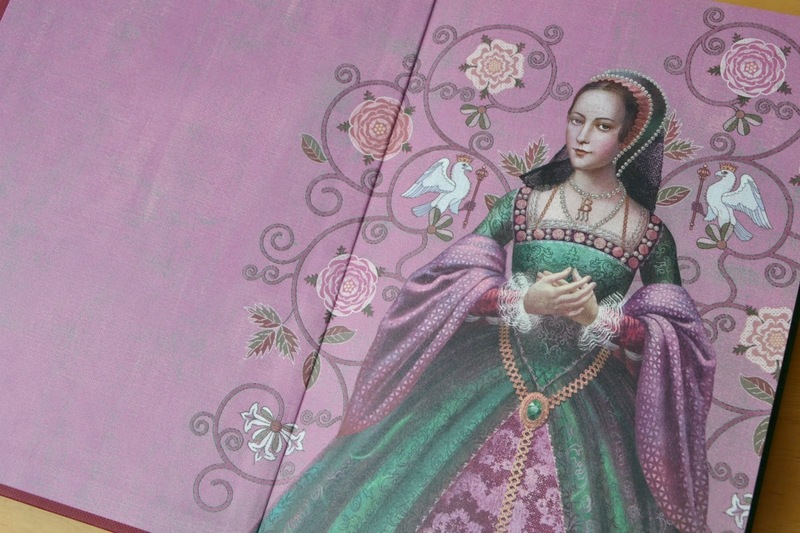 Book Review: Anne Boleyn: A King's Obsession by Alison Weir! When I finished Katherine of Aragon: The True Queen I was convinced. Yes, she was the true Queen. And Anne Boleyn? Nope, I did not like her and never would, she was the villain of the story. Well- obviously Henry VIII is the villain but Anne Boleyn was a minor villain and while not deserving of being beheaded, wasn't going to get my sympathy. Well, enter Alison Weir and A King's Obsession! By the end of this, I ended up crying for a Queen long since dead. Again. It is the spring of 1527. Henry VIII has come to Hever Castle in Kent to pay court to Anne Boleyn. He is desperate to have her. For this mirror of female perfection, he will set aside his Queen and all Cardinal Wolsey’s plans for a dynastic French marriage. Oh, Anne Boleyn. Did you know that decapitation isn't an immediate death? I went on a Google deep-dive after this and science has some buck wild thoughts on the matter. I totally cannot un-read some of the details of experiments. But, even before this terrible end, I was feeling sorry for Anne Boleyn. She wants to marry for love, against her father's wishes, and ends up with just the worst man so that the family can gain points. Reading her whole story from childhood, you connect with her as a character and it feels all the more brutal when she's treated so badly. There's also the blending of contemporary ideas with the thoughts of the time. Anne was surrounded by women leaders and was a strong independent woman who thought that women could rule. She was taught- at least in this fictionalised world- that she had the feminine power to flirt and lead men that way. This endeared me to her and I just wanted her to get a happy ending, goshdarnit. The author's note goes into feminism in 16th Century Europe and the women leaders Anne served, and it's so so interesting. And that Author's Note. Obviously, any historical fiction is going to be that, fiction. But Weir's Author's Note at the end of these books show the detail of research and are often the most interesting part of the read for me- these books are fantastic so this isn't a slight. I just love reading about how she went about writing. There is much less source material to use when it comes to Anne, in comparison to Katherine, and a lot of the material comes from a hostile source. This just makes the depth of the story all the more impressive. Alison Weir continues to amaze me. She completely turned my opinion on Anne around, my emotions were all over the place and even with 500+ pages, I always want more when it comes to this series. -she added her name, so that anyone finding the inscription in years to come would know who had written it. By then she would either be famous or forgotten. Have you read any good books about Anne Boleyn?